A recent study by Gallup determined that 70 percent of employees are disengaged on the job, which leads to a cost of approximately $550 billion in the U.S. annually due to lost productivity. Furthermore, for small businesses and startups, company culture fit can be make-or-break. Recent figures, from a study done by Mark Murphy for his book “Hiring for Attitude”, found that 46 percent of new hires failed within 18 months. In nearly 90 percent of these cases, employee turnover was due to poor company culture fit. Hiring for cultural fit means lower turnover rates and money being saved. While some companies are turning to cultural hiring, there are still many who are not following suit. Participants of the e-Course can expect one lesson delivered to their inbox each day, allowing employers and recruiters enough time to digest the information in every lesson before the next email arrives. The first lesson introduces participants to the e-Course by going over the various kinds of organizational cultures so they can determine which one applies to their company. 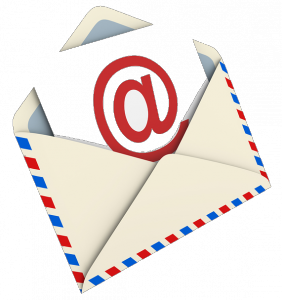 The lesson also provides tips for finding top-notch candidates for specific cultures. The e-Course also discusses the usage of the one-way video interview and how employers and recruiters can use this technology to find great-fitting candidates for their company culture. Participants will also learn about asking the right interview questions for cultural fit, with several sample questions to use. There are also lessons addressing talent assessments and background and reference checks. Employers and recruiters interested in implementing video interviews into their company can use this e-Course as a stepping stone to better hiring. 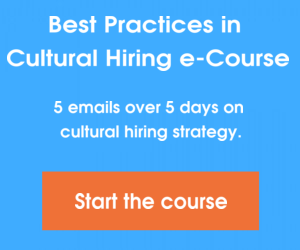 Sign up for Spark Hire’s free Best Practices in Cultural Hiring e-Course today and begin connecting with the best talent that will stick around and bring your company continued success!